We are affiliated with Hebron Eco University which is an Institution training Christian Leaders for Ministry over the past 30 years. Hebron is committed to the belief of separation of church and state. They have not applied for accreditation with the United States Department of Education or any state or federal agency. Hebron Eco University consists of South Asia Institute of Theology –SAIT and Middle East South Asia Graduate School of Theology- MESA which are sponsored by both HOMSA and Every Home Crusade which are legally incorporated in Sri Lanka governed by a Board of Directors consisting of many eminent personalities. We are also affiliated to United Nations University For Global Peace which is a global Think tank with a primary focus of helping scholars carry out doctoral research into Peace and Conflict studies and build competencies of peace activists worldwide. UNUGP is Headquartered in New Jersey, supported by a panel of Experts and Advisors with one residential campus and research Centres in over 15 countries. We are legally incorporated in USA Registration No. 6815639, an affiliate of The American Diplomatic Mission of International Relations-Intergovernmental Organization. ADMIR brings together all 190 Countries and constitutes the main political, juridical, and social governmental forum in the World. In addition, it has been granted permanent observer status to many Countries, as well as to the European Union (EU). Young Scientists University’saffiliation, accreditation and recognition assures the community that our programs are relevant and rigorous, our faculty is qualified & well prepared with the appropriate academic standards, and our students are supported by best adjunct faculties from across the globe with world class student assistance and staff support. At YSU, we are continually reassessing the quality of our institution and programs—and continually improving them. 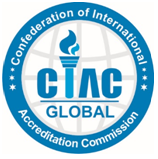 YSU is accredited Member of CIAC Global which is an International, non-governmental, private, self-financed, Quality Assurance Rating & Accreditation Body, federally recognized as a non-profit organization, started in affiliation from CIHF-India in 2008. It has now expanded its reach all across the globe with its office in USA, Canada, Sri Lanka, Malaysia & Other International chapters and representative offices. With its global presence, extensive network of experts and over 8 years of experience CIAC has grown essentially into three domains- Education (such as School, College, Institutions & Universities etc. ), Healthcare & Wellness (such as Hospitals, Nursing Home, Clinics, Fitness Centers, Spas & Salons, Skin Care Centers, etc.) and Food & Beverages (Such as Cafes, Restaurants, Lounges, Bars etc.). CIAC is working towards formalizing the norms for quality assurance in the field of Gems & Jewelery, Real Estate, IT & E-Commerce and Films & Entertainment and plans to launch these verticals in the near future. CIAC Global is strong supporter of United Nations Global Compact Program and Earth Charter. CIAC works as an international quality assurance agency, working towards improving quality assurance standards of organizations all across the globe. CIAC never claims to be associated with the government directly. 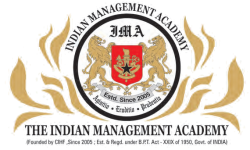 It works as an independent assessor & auditing organization dealing in quality ratings & recognition award through private, non-governmental & self-regulation. CIAC can be treated as an agency working just after the government in the private sector to enhance & uplift the quality in various sectors. 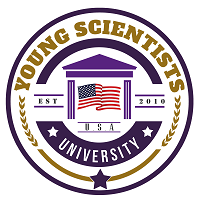 Young Scientists University is affiliated to Cambridge International Academics.